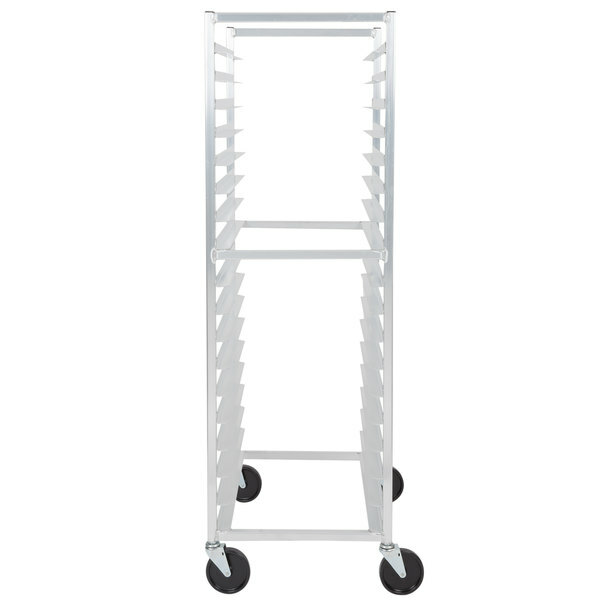 Transporting your pans and trays just got easier with Lakeside's 8522 roll-in cooler rack. 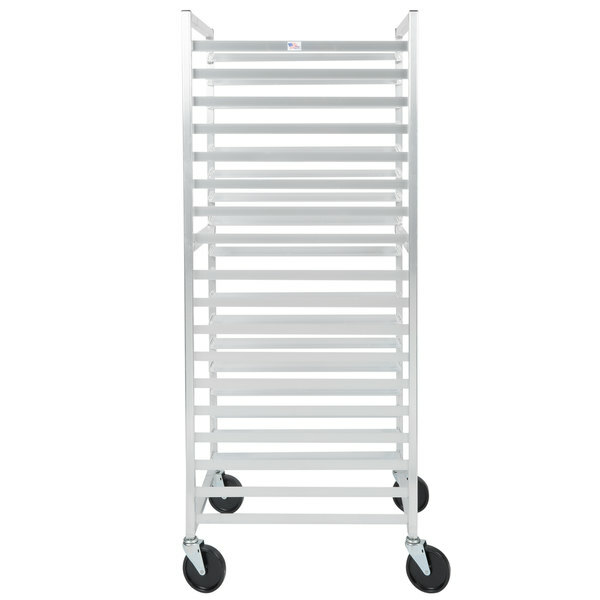 Great for restaurants, hotels, cafeterias, and healthcare food service, this rack with angle ledges can accommodate (18) 18" x 26" full size pans or (36) 13" x 18" half size pans, maximizing your ability to carry large amounts of food. 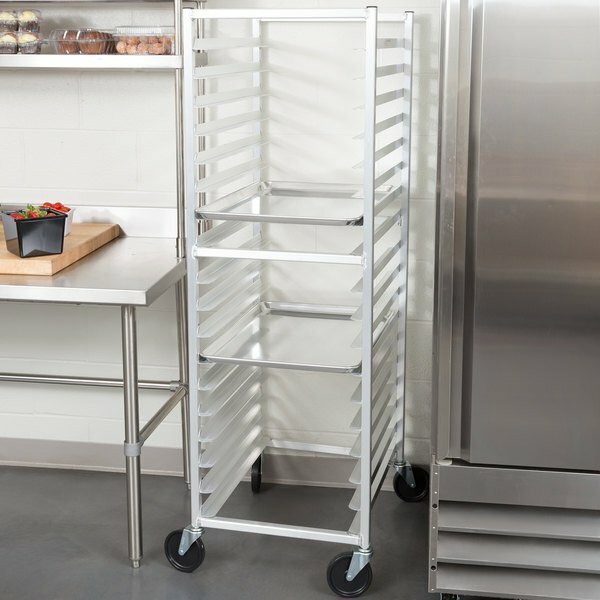 This roll-in cooler rack is ideal for preparing food in advance, storing in the refrigerator, and grabbing when needed. 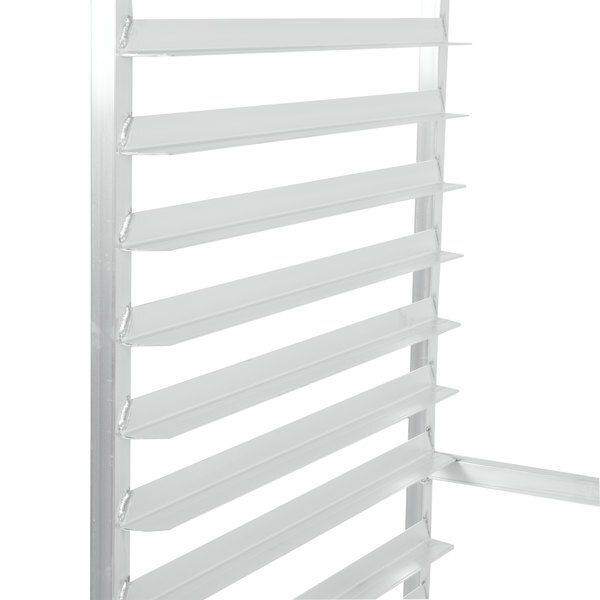 The rack is heli-arc welded and sealed, and the angle-style ledges are continuously welded to the uprights, resulting in a sanitary, rivet-free design that can withstand repeated, rough use. 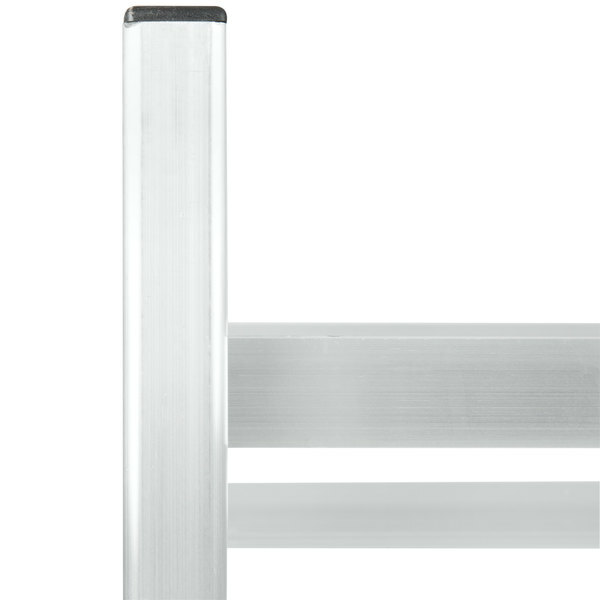 For added durability, extra gussets are welded in all corners to prevent alignment "racking" and distortion, keeping your trays level and steady. 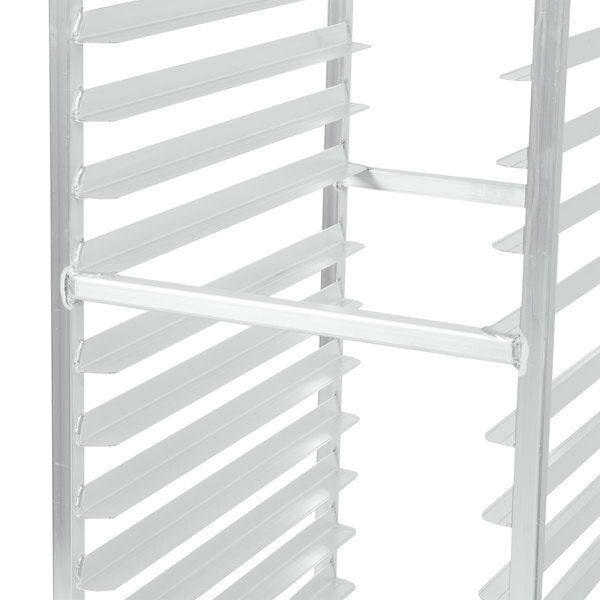 Constructed of light-weight, primary-extruded aluminum, this rack is rust-proof, hi-tensile, and corrosion-resistant as well as economical and sturdy - perfect for storage in moist refrigerators. 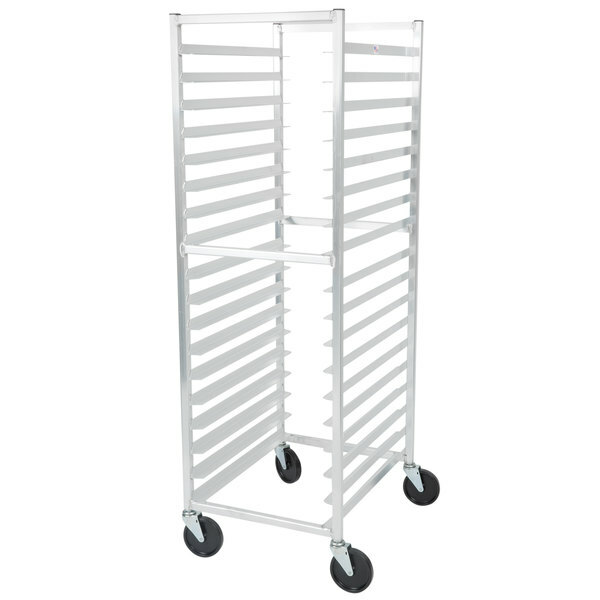 The reinforced bottom design provides added durability during offsite transport which is ideal for catering outdoor events or for moving between buildings in health services. 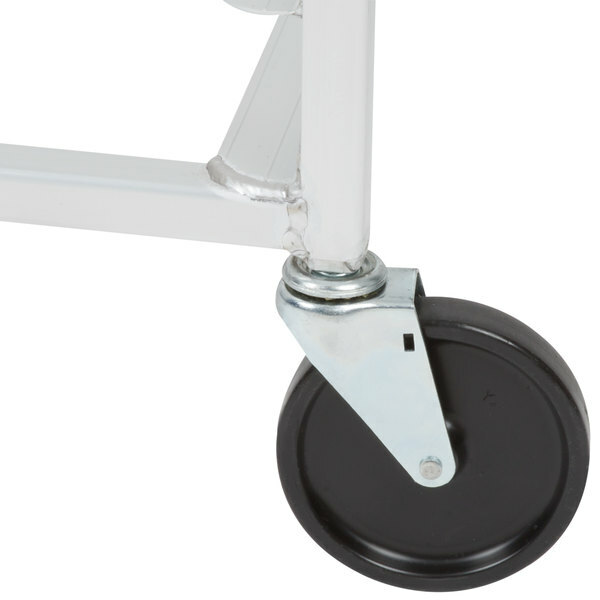 For added convenience and efficiency, the 5" all-swivel plate casters feature non-marking polyurethane wheels, helping to maintain clean floors in the kitchen and cafeteria. Left to right: 20 1/2"